Bouchra….playing a role for Arsenal? As different European managers continue to submit their final 23-man squad lists for the forthcoming European Championships, jaws have been dropped and eyebrows have been raised. However, Arsenal has had its fair share of ambassadors that are essential pieces of their national team’s jigsaw puzzle. With the curtain raiser for the competition barely a week away, the gates of the Emirates have remained shut, as Arsenal fans continue to feel the wind pass through the gates instead of gracing themselves with the wonderful sight of new signings. ‘Arsenal linked with A‘, ‘B has agreed personal terms and it will be announced after the Euros’, ‘C has declared that he’ll prefer Chelsea’, ‘D wants a salary of £300,000′ and the list goes on and on. The media Vultures swarm around Arsenal publishing a million and one articles with the aim of getting hits and what have you, but I’ve decided to take my ‘pick from the pack’. The Daily Mail has reported that Arsenal is trailing Athletic Bilbao’s Fernando Llorente, who has a buy-out clause of £28m. The Lion King, as he’s known in Basque, has scored 113 goals in 296 appearances for the Basque-based outfit and had his best return as a footballer last season with 29 goals in 53 apps (17 in Liga BBVA). However, paying £28m for a 27-year-old striker with one year left on his contract is outrageous by our standards, and I believe that it’s just one of those news pieces that would make a few fans drool. There’s also some news about Arsenal target, Olivier Giroud, as Montpellier Herault president, Louis Nicollin, has confirmed that the striker as well as club captain, Mapou Yanga-Mbiwa, are free to search for greener pastures, if they receive a “suitable” bid. It is believed that Giroud has £12.8m release clause on his current contract, but the Scrooge-esque nature of Arsene Wenger and his transfer handling folks is proving that the fee is too much. Giroud finished as Ligue 1’s top scorer with 21 goals and from the few highlights I’ve seen, he’ll be worth the outlay. In Montpellier’s penultimate game against LOSC Lille Metropole, he showed off his composure in the 94th minute to hand out an assist to Karim Ait Fana who scored the goal that gave the club one hand in the Ligue 1 trophy. They eventually won the league through John Utaka’s brace on the last day of the campaign. More recently, his cameo performance for France against Iceland was eye-catching to say the least. I’ll certainly take this Giroud bloke over Marouane Chamakh and Park Chu-Young and I’ll be looking forward to seeing his performances for Les Bleus in the Euros. The Daily Mail also reported that Arsenal is keeping tabs on Manchester City’s no-nonsense holding midfielder, Nigel de Jong. Unlike Llorente and Giroud, I’ve watched de Jong on a consistent basis and I know his capabilities. For what it’s worth, he’s the football definition of a beast and unlike Alex Song, he knows, breathes, loves his “primary” job and he’s damn good at it. Elsewhere, Tottenham has stated that they’re confident in completing the deals for Jan Vertonghen and Emmanuel Adebawh*re. Speaking of wh*res, football’s most sought-after ho, Eden Wh*rezard has finally chosen his pimp, Chelsea. The news hasn’t gone down well with his other numerous suitors but we should brace ourselves for a hazardous campaign from Chelsea, because he’s one hell of a player. Moving over to player departures, Johan Djourou has been advised by his national team manager, Ottmar Hitzfeld, to leave Arsenal or risk not featuring for his nation while Nicklas Bendtner has bored us with his cliches yet again that he’s in talks with other clubs. However, there’s a Gunner everyone cares about. He’s presently the club’s best player as well as the captain, all-spark, talisman, Flying Dutchman, perpetual goal scoring machine and the football standard for measuring technique. Speculation regarding Robin van Persie’s future is rife, and Arsenal fans are already fearing for the worst, as they’re bracing themselves up for a post-van Persie era. Despite the fact that Arsenal’s shameful Board of Directors (yes, I said it!) hasn’t flexed their muscles enough to give Wenger the kind of funds required to attract “You-know-who”, there’s still a wild card left to play. Behind every great man, there’s a woman providing support because a head with a shiny crown is nothing without its neck. Bouchra van Persie, an amazing woman with two amazing kids, has supported her husband, and she also has Arsenal’s best interests in her heart. Just as many Arsenal fans have dwelt on, it all comes down to loyalty yet again, which is a bit overrated in my opinion. In football, like every other profession, a player would always want to get rewarded for his output, whether it’s in his current workplace or elsewhere. The 2011/12 season was the campaign van Persie showed what injuries have robbed Arsenal of. If he was around 25-26 years, he might have been odds on stay for certain, but at nearing 29, this is his last chance for him to make a big move and Arsenal to obtain a significant fee. Yes, we stuck with van Persie through the bad times but the term “loyalty” has been thrown into the air because we wan’t a player of van Persie’s calibre to stay. Manuel Almunia spent almost the same amount of years, if not more, than van Persie, but we swept him by the roadside and treated him like dirt, because we have players like Wojciech Szczesny and Lukasz Fabianski as well as young Guns like Vito Mannone and Emiliano Martinez. If Manuel Almunia demanded that we should show him some “loyalty” by handing him a contract extension, he would have been on the end of some barrage and vitriol from the fans. However, van Persie has openly stated that’s he’s not motivated by money but he would like his club to show some ambition by getting a few additions. Is that too much to ask? I, like every thoroughbred Gooner out there, remain hopeful that van Persie would stay, but if he goes, the world as we know it won’t come to an end. 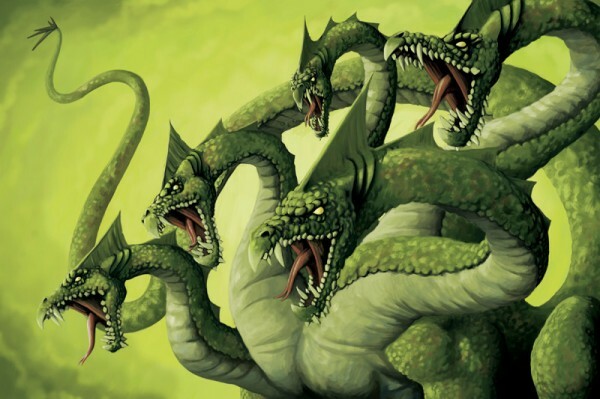 Besides, Arsenal is like the mythical creature, Hydra. If you take one head out, another will pop up. Posted on May 30, 2012, in Arsenal, Football, Premier League, Transfer Gossip and tagged Arsenal, Football, Premier League, Robin van Persie, Transfer Gossip. Bookmark the permalink. 29 Comments. Great and lovely article… I do hope that he stays and I sincerely prefer Giroud to Llorente due to the chunk differences in Age.. Hope Wenger rap everything up soon than later. Giroud and Llorente have a similar style of play but as you rightly said, Giroud is much younger (and cheaper) so I hope we go for him. Till then, let’s keep our fingers crossed. I personally don’t read much meaning †☺ d crazy rumours. But M̶̲̥̅̊y̶̲̥̅̊ thots r simple, we’ll av a clearer idea of purchases when we sell players. I dnt c wenger going out †☺ buy Giroud when we still avnt sold park and chamakh. And even wit dat, poldi has come in I’m sure 3rd choice sriker willb promoted from within rather than buying a qty striker and not guaranty him 1st team fooball. As for mvila, I tnk we’ll get mvila inter r d only other team going for him and wit no champions lge †☺ offer him we will av an edge in negotiations. And yes RVP will stay. I think it might be a bit different this summer. We will buy Giroud despite having Chamakh and Park. If wenger decided that he’ll use poldi up front buying Giroud will b asking for trouble cos I can’t see how we’ll keep 3 world class forwards happy wit all of them seeking playing time. Pls can I join your arsenal black berry group? Having 3 world-class strikers isn’t bad bro. As long as they can be rotated. This might even prompt Wenger to return to 4-4-2. On the question of the BB group, sure. Cool. I’ll send you an invite in a bit, the group is called “Team Goonerdaily”. 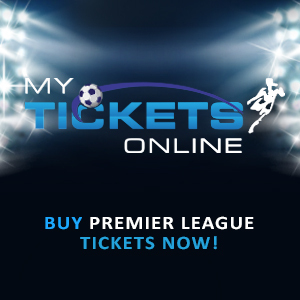 As a new member, you’ll be inducted by fellow Arsenal fans as they’ll ask you questions about the club you support. Sorry bro had †☺ leave d group. It was hanging M̶̲̥̅̊y̶̲̥̅̊ over hyped fone too much. Nice one mate! Keep it up..cheers! oooh dats a 9ice comment and request 4rm robin he is realy a gud leader am tryin 2 hug the board n wenger 2 bring in good signings 2 end dis trophyless woes once and for all. as arsenal fan, i think Robin should give some hope that he will stay, not just saying we’ll see, because he just start for making some enemies from arsenal fans,. this time he must say i will stay or i will leave, otherwise it will make distruption for new season as last time when fabregas and nasri have left. Nice piece bro. Giroud or fernando will only come if rvp leaves. He is ever important to the team, that is for sure! Almunia was never injured like RVP… RVP would be a thing of history if he was at another big club….. Am no saying he should stay or leave….. Many club wouldn’t have stuck with RVP during his injury woes. “I’m not motivated by money but the club could add a couple of players” that’s cool you know! Its amazes me,up till this minutes,Arsene has not made any signings. Shame!!!! !